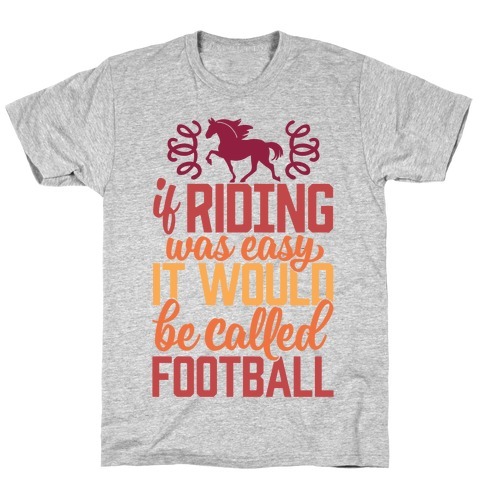 Browse our collection of 13 Equestrian T-Shirts and more. Designed and printed in the USA. 100% Satisfaction Guaranteed. 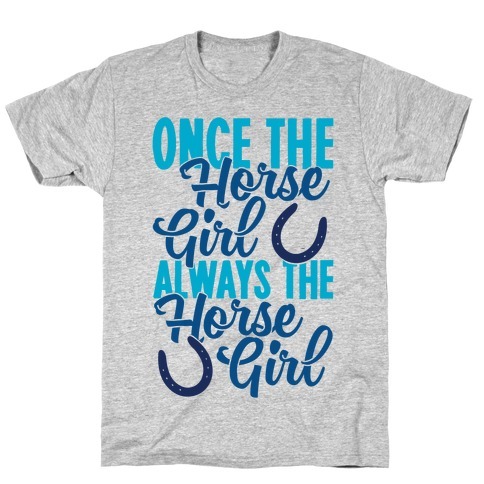 About this Design If you're in need of horse t shirts, gifts for horse lovers in your life, or something to remind yourself what being an equestrian is all about, this horse t shirt has you covered! People say riding isn't a sport--what do they know? 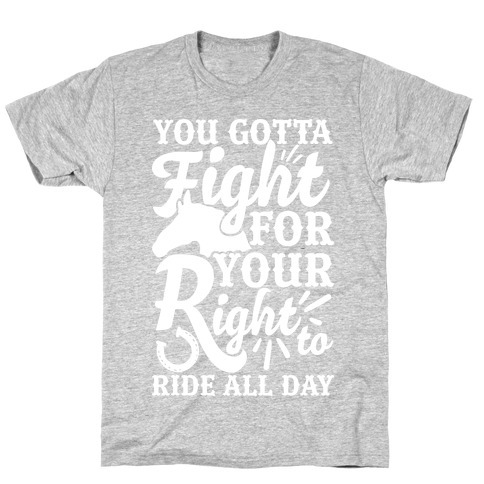 Being able to ride a horse is an incredible skill, so show off your badass horse loving self! If you're in need of horse t shirts, gifts for horse lovers in your life, or something to remind yourself what being an equestrian is all about, this horse t shirt has you covered! People say riding isn't a sport--what do they know? 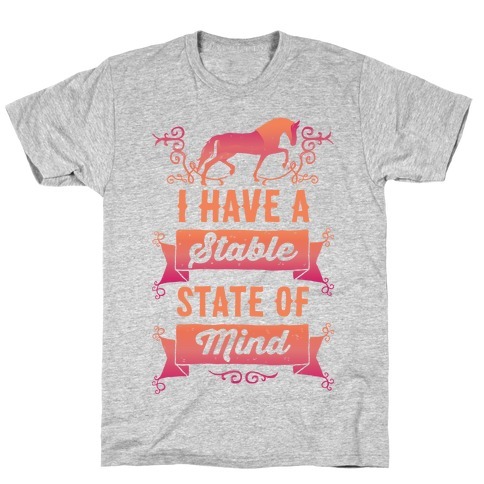 Being able to ride a horse is an incredible skill, so show off your badass horse loving self! About this Design Are you a Equestrian obsessed with horses? Let your friends know you're not crazy, you just have a Stable state of mind. There isn't a time your four hoofed companion isn't on your mind. Who would want to go out on weekends when you could be riding horses instead? If you're a horse lover this Equestrian shirt is perfect for you! Are you a Equestrian obsessed with horses? Let your friends know you're not crazy, you just have a Stable state of mind. There isn't a time your four hoofed companion isn't on your mind. Who would want to go out on weekends when you could be riding horses instead? If you're a horse lover this Equestrian shirt is perfect for you! About this Design Home is where the heart is they say. You know better, home is at the barn with your horses. 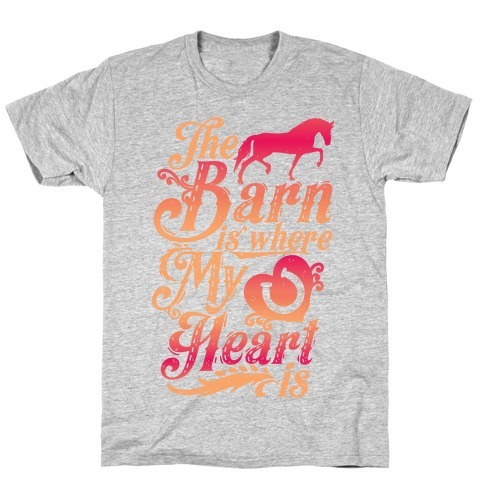 So it's actually the barn where your heart is, among all your horses! Any equestrian knows, your heart belongs to your horse after all! No need for boys. 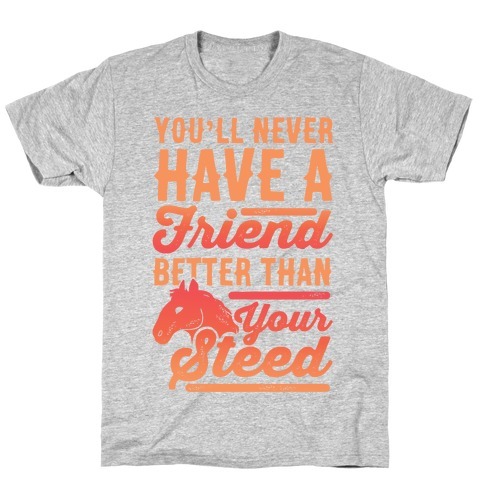 If you're a fan of horses this horse lovers shirt is perfect for you. Home is where the heart is they say. You know better, home is at the barn with your horses. So it's actually the barn where your heart is, among all your horses! Any equestrian knows, your heart belongs to your horse after all! No need for boys. 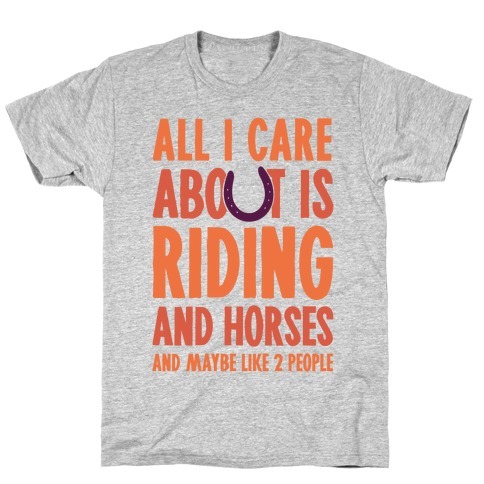 If you're a fan of horses this horse lovers shirt is perfect for you. About this Design If you wanna get out on your horse, you gotta work for it! Finish your responsibilities, homework, work, and social obligations. No one gets to have free time when you're a horse rider! Before you can jump into the saddle you need to care for your horse first. Once you can though, your a free equestrian, and nothing can stop you! If your a horse rider, this horse lovers shirt is perfect for you. If you wanna get out on your horse, you gotta work for it! Finish your responsibilities, homework, work, and social obligations. No one gets to have free time when you're a horse rider! Before you can jump into the saddle you need to care for your horse first. Once you can though, your a free equestrian, and nothing can stop you! If your a horse rider, this horse lovers shirt is perfect for you. 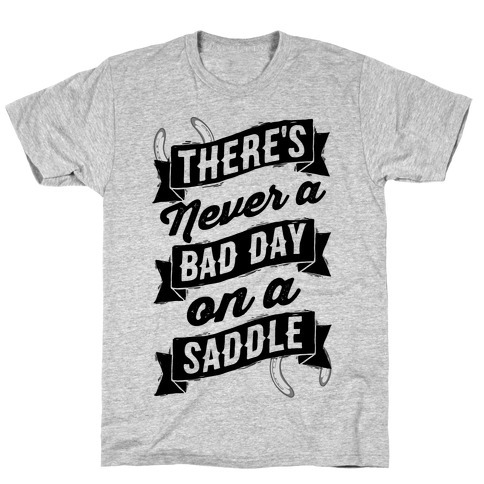 About this Design You can have a bad day at work, you can have a bad day at school, you can even have a bad weekend, but you will never have a bad day when you get to ride your horse. Every equestrian knows that horses are the key to happiness. Ride and be happy! If you're a horse lover, this equestrian shirt is perfect for you! You can have a bad day at work, you can have a bad day at school, you can even have a bad weekend, but you will never have a bad day when you get to ride your horse. Every equestrian knows that horses are the key to happiness. Ride and be happy! If you're a horse lover, this equestrian shirt is perfect for you! About this Design Any real horse person would rather be at the barn and around horses than anywhere else, no matter what--show off your appreciation for the best animals in the world with this awesome equestrian t shirt, a perfect gift for a horse lover or anyone who loves spending time at the barn! 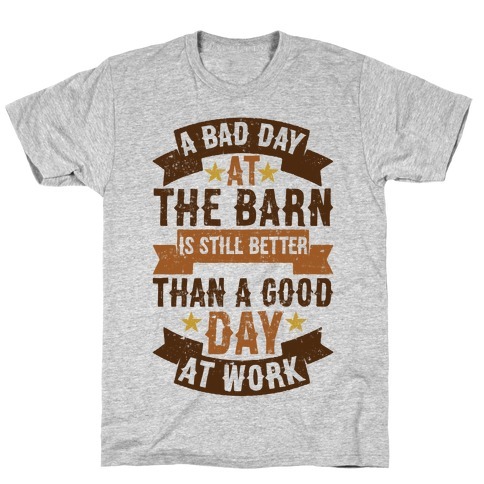 Any real horse person would rather be at the barn and around horses than anywhere else, no matter what--show off your appreciation for the best animals in the world with this awesome equestrian t shirt, a perfect gift for a horse lover or anyone who loves spending time at the barn! About this Design Everyones heard of a crazy cat lady, but never a crazy horse lady. You're not crazy when your Equine Eccentric, those are two very different things. You're more of an enthusiast, one who may show off all your horse pictures at a weekend party, or to the waitresses at your coffee shop. 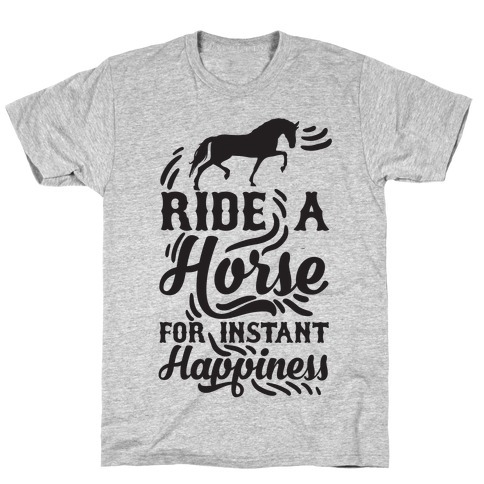 If you're crazy about horses, this horse shirt is perfect for you! Everyones heard of a crazy cat lady, but never a crazy horse lady. You're not crazy when your Equine Eccentric, those are two very different things. You're more of an enthusiast, one who may show off all your horse pictures at a weekend party, or to the waitresses at your coffee shop. 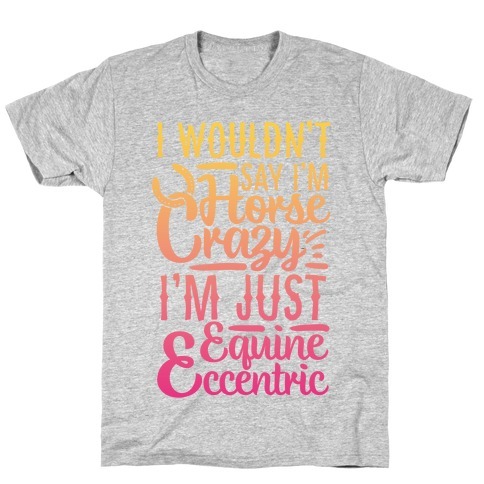 If you're crazy about horses, this horse shirt is perfect for you! About this Design All your kids have hooves! Who needs human children when you can have horses instead! There's nothing wrong with feeling a stronger connection to your animal companion. Some people just have a better understanding of those on all four, than those who can walk on two. If you're a horse lover, rider, or owner you know the feeling! Show off your love with this cute horse shirt. 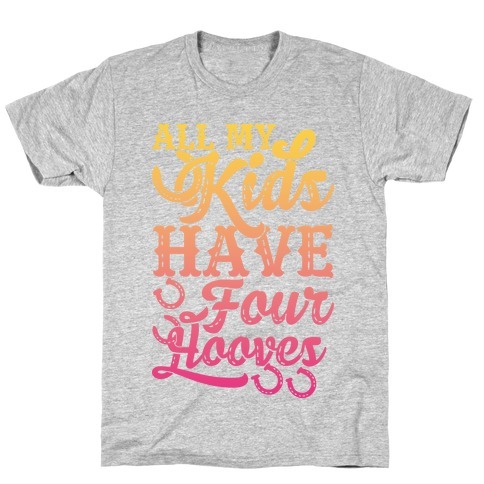 All your kids have hooves! Who needs human children when you can have horses instead! There's nothing wrong with feeling a stronger connection to your animal companion. Some people just have a better understanding of those on all four, than those who can walk on two. If you're a horse lover, rider, or owner you know the feeling! 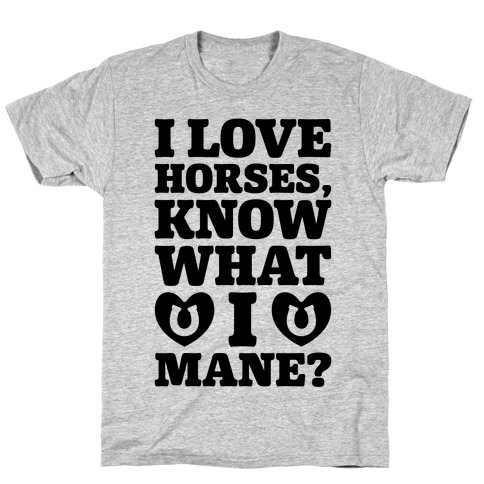 Show off your love with this cute horse shirt.